Anna Kendrick wears a sheer skirt while attending her Nylon February 2015 Cover Party held at Gracias Madre on Wednesday night (January 21) in West Hollywood, Calif. The 29-year-old actress was joined by Emily Osment and Christian Serratos. FYI: Anna is wearing a Tory Burch tee and an Iro leather jacket with a Jennifer Meyer ring. Bella Thorne Guesses the Brand at Just Jared's Halloween Party with Boyfriend Tristan Klier! Bella Thorne and her on-again boyfriend Tristan Klier are all about peace and love while dressed as hippies after stopping by the Brand X booth at the 2014 Just Jared Halloween Party: “JJ Freak Show” held at No Vacancy on Friday (October 31) in Hollywood. The 17-year-old actress was joined at the party by Sofia Richie, who looked fabulous as Khaleesi from Game of Thrones, and Cameron Monaghan, who channeled Patrick Bateman from American Psycho – complete with a bloodied knife! Also in attendance at the big bash were Young & Hungry‘s Emily Osment (dressed as Cruella Devil) and her date for the evening, Mallory Jansen (as Audrey Hepburn), and actress Francia Raisa (dressed as Rosie of Sophia Grace & Rosie from The Ellen Show). Just Jared‘s Jared Eng also got in on the fun with the guests – he dressed as a shirtless ringmaster. While at the event, Bella stopped by the What Brand Is It? booth for a chance to win $25,000! Even better – now you can have a shot at winning big bucks! Get all the details here. Emmanuelle Chriqui Joins Her 'Cleaners' Co-Stars at Crackle's Summer Premieres Event! Emmanuelle Chriqui is a glowing beauty while attending Crackle Presents: Summer Premieres Event held at 1 OAK on Thursday (August 14) in West Hollywood, Calif. The 36-year-old actress was joined by her Cleaners co-stars David Arquette, Missi Pyle and her sister Meredith, Emily Osment, director and writer Paul Leyden, Sequestered stars Jesse Bradford and Patrick Warburton, as well as Lance Bass and his love Michael Turchin. You can watch both Cleaners and Sequestered on-demand now on Crackle! FYI: Missi is wearing a Calypso St. Barth beaded dress and Martí jewelry. Patrick Schwarzenegger Celebrates the Opening of Blaze Pizza with Family and Celeb Friends! 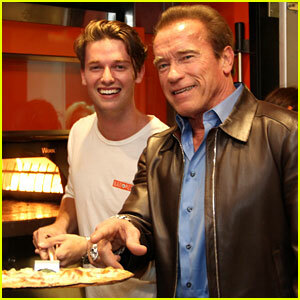 Patrick Schwarzenegger shows off a fresh pizza with his dad Arnold at the VIP opening of his restaurant Blaze on Thursday (May 22) at the Original Farmer’s Market in Los Angeles. 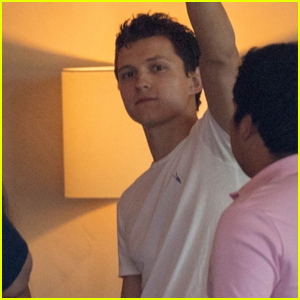 The 20-year-old actor/model was joined at his celebration by celebrities like Tom Arnold, Miranda Cosgrove, Jennette McCurdy, Jason Kennedy and Emily Osment, pictured inside. “So blessed for my great family and friends,” Patrick tweeted after the party. Earlier this month, Patrick went casual in a t-shirt, swim trunks, and sneakers while heading out for lunch at Tra di Noi in Malibu. Michelle Monaghan shows off her growing baby bump while attending the premiere of Crackle‘s new original digital series Cleaners held at the Cary Grant Theater on Thursday (September 26) in Culver City, Calif. 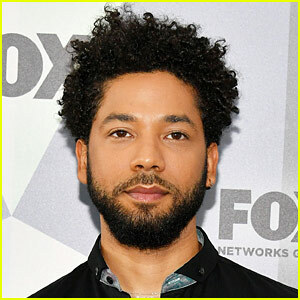 The 37-year-old pregnant actress was joined by the stars of the series Missi Pyle, Emmanuelle Chriqui, Emily Osment, as well as Lance Bass and Adrian Bellani, who came out to show their support. The full series premiere of Cleaners will be available on Crackle starting on Thursday (October 3) – Be sure to check it out! FYI: Emmanuelle is wearing an Alice + Olivia by Stacey Bendet outfit. Armie Hammer & Stana Katic: 'Elysium' Premiere! Armie Hammer hits the red carpet at the premiere of Elysium on Wednesday evening (August 7) at the Regency Village Theatre in Westwood, Calif. The 26-year-old actor was joined at the event by Stana Katic, Aimee Garcia, Derek Theler, Constance Zimmer, Vivica A. Fox, and Emily Osment, who all came out to show their support. In case you missed it, check out Armie showing off his guns as he graces the cover of Men’s Health UK‘s September 2013 issue. FYI: Stana is wearing Bec & Bridge dress with Dana Rebecca Designs earrings and ring. Armie is wearing a Joe‘s shirt.